You would have to be blind and deaf not to notice that traffic in Toronto is getting ridiculous. Just this morning I watched a long stream of vehicles snaking westbound on Queen St. Where are they going? And why do they need to drive to get there? 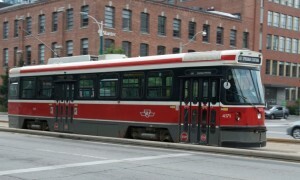 Please know that I have nothing against cars, but my go-to to get up, down and across the city is the TTC. There’s no better way to know a city than by taking public transport. It makes sense that recent immigrants take the TTC when they arrive in the city. You can gaze out a window and enjoy the architecture, or people watch as you glide by on the streetcar or bus. People watching becomes even more interesting as you watch and listen to your fellow passengers. Sometimes you can even engage with them. That’s if they’re not playing a game on their phone. Traveling on the TTC is also a great way to test one’s empathy and love for humanity. As a teenager I saw a plaque that said — “I love humanity. It’s people I can’t stand”. I think about that plaque every now and again when on the TTC. There’s something life-affirming about seeing people give their seats to the elderly, or to a child, or pay someone’s fare when they don’t have the correct change. Afterall, this is Toronto the Good. Makes me feel warm inside. But not all the time. Sometimes a person enters the vehicle, and I find myself thinking ‘please please please don’t sit next to me’. Or during rush hour when people are abusive to each other or to the beleaguered driver. Or when my nose is much too close to someone who has forgotten the first rule of public transit — use soap and deodorant. Or folks who insist on wearing their backpacks on a crowded vehicle. Not good. One day I witnessed a woman take out her false teeth, look at them and then put them back in. She was not concerned that everyone was watching. It’s also fascinating to listen to the conversations people have. Can’t they wait until they get home? Funny, irritating, shocking, but you gotta love it. The TTC might not always be the better way; but it still works for me. 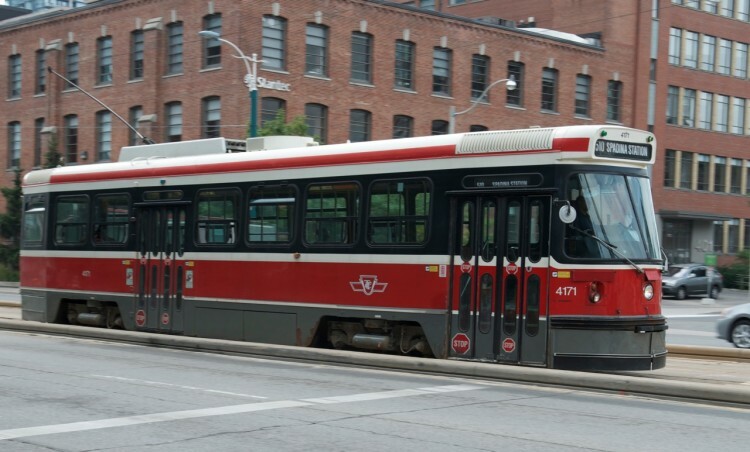 The TTC is a red thread that connects the city. It forces us to share, cooperate, and to see each other as human (in my perfect world). Transit continues to be a top priority during the ongoing debates between the mayoral candidates. As it should. A developed and efficient transit system is an important sign of a healthy city. I hope that the TTC continues to adapt to the city’s changing needs. Cause I need to get around.